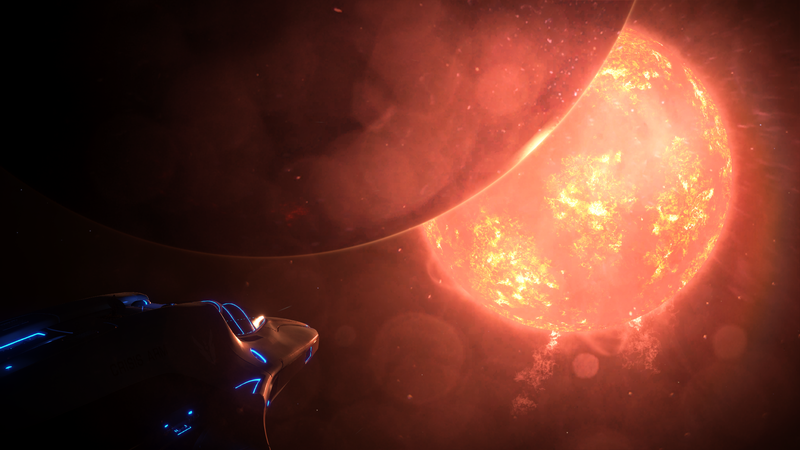 Home Posts tagged "Galnet Audio"
The January issue of Sagittarius Eye, can now be read/downloaded from http://www.sagittariuseyes.com/january-3304.html. This issue includes insights on galactic conspiracies, a report on Project Equinox, a review of the T10 and a second look at the beloved Cobra Mk III, an exploration of Thaorgoid barnacles…and much more. No matter if you’ve been playing for five minutes or five years, there’s always something that everyone knows except for you. In this video Ghost Giraffe highlights some tips that we didn’t know about until recently! The intention is to have a bible of Elite vehicles (not just flyable ships) with the most complete information anywhere. I need to know the speed (in m/s) armour and shields (in MJ) for the four skimmers, so I can finish off the Core Dynamics section. I did try racing a skimmer to clock its speed in my SLF, but that wasn’t accurate and the skimmer tended to fly in circles. The Anti-Thargoid League are planning a mass assault on a couple of Medusa Class Thargoids on February the 3rd. For those interested, pop along to the discord (Discord Link) and help Cmdr Glutteny Fang. Possible to determine mineral content by planetary colours. Shan “Breaks” NPC Crew Payments. 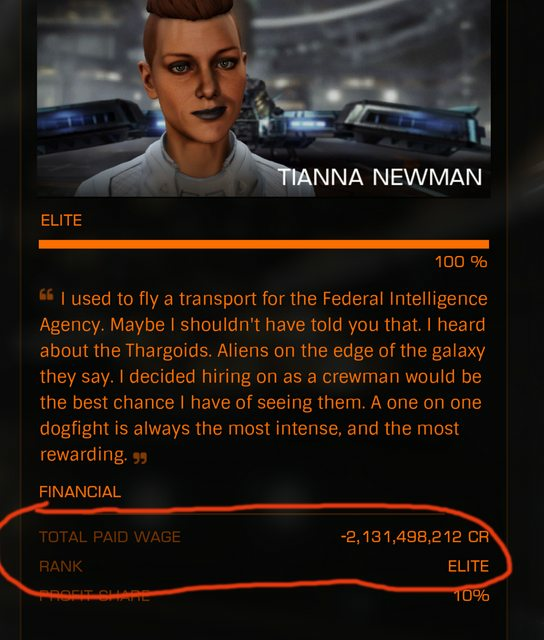 Shan has caused a negative value to be displayed on the crew payments total. It’s a display bug only, but a funny one. Do you not own a Logitech series keyboard with an LCD inside? (G19s, G15, G13, G510 models) AWESOME! CMDR DrToxic has found (yet another) companion app for you.